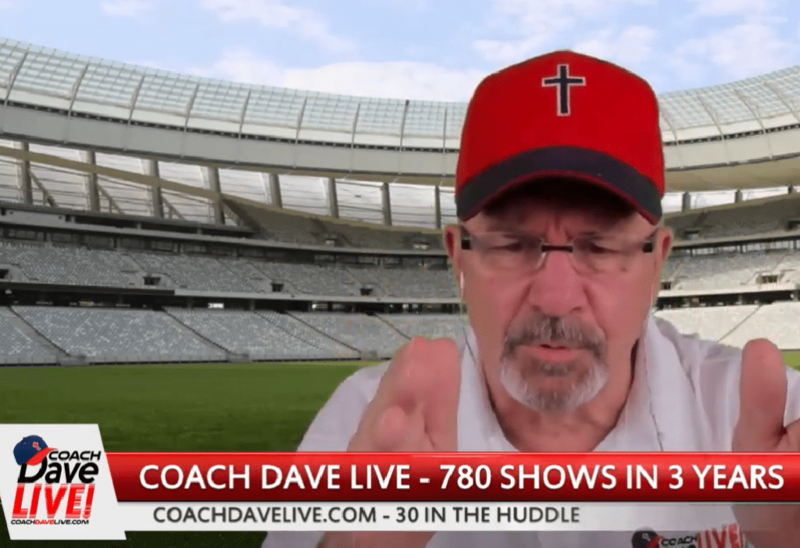 Check out www.coachdavelive.com/events and come to an upcoming event with Coach. Support David Arthur. https://alphabetmanlive.com/donate His testimony is powerful. He needs our monthly support. $50 a month would go a long way to helping him grow his ministry outreach. Give David Arthur’s book to your pastor. It will open his eyes, or he’ll expose his own unwillingness to face truth. The people are destroyed for a lack of knowledge. Rush Limbaugh is mesmerizing but he doesn’t tell you anything of value. When was the last time you heard Fox News doing an expose on vaccinations? or 911? or…? Do the church goers have any idea what’s really going on in the culture When someone comes to a church and shares a powerful story like David Arthur’s, people either have no idea because they’re disconnected with what’s going on in their local schools OR they don’t care. They’re numbed by the news networks, and are like zombies. And when the people find out what’s going on, then they are accountable to do something about it. Very few, only the remnant are willing to do something about the evil running rampant in our culture. There’s a federal grand jury to find out what really happened on 9-1-1. Architects and engineers are testifying about it in DC. Check it out. Planet Nibiru – a planet moving into our solar system. NASA told us about it years ago. Check it out. Pole shift – the magnetic poles are moving more rapidly than ever before. Check out the effects of this happening in practical ways. The magnetic poles have been moving forever, however. So, check your facts. Believe but verify. Is there really global warming? or climate change? or floods? Laura Loomer – showed up at Nancy Pelosi’s house with 3 illegal immigrants. They called the police. Does Nancy really want illegal aliens invading our country? Then, why won’t she let them in?! Laura says that Donald J Trump wants immigrants to come into our country. It’s just that he wants them to come in through the front door, the way that all our forefathers in America had to come in. Cancer – why is everyone getting cancer? Why chemotherapy? Why radiation? Courage engenders courage. We need to become informed before we can become involved. Don’t be a zombie. Get informed. Ignite brush fires by daring to say what you know. It’s an information war from within and without the church. The fear of the Lord is the beginning of wisdom. This God measures the span of the universe. He is a star naming God. He is fearful, mighty, awesome God. If God before me, I pity the fool who is against me.